It supports multi exchange and multi instruments like Equity, Futures and Options, Commodities Derivatives and Currency Derivatives. Mobirupee can be easily integrated with any other trading platform. With web services and standard API’s the integration is very simple and straight through process. 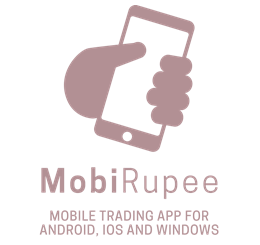 MobiRupee is a powerful mobile trading app which combines the powers of analytics and real time information with rich UI and delightful user experience. MobiRupee with features such as streaming quotes, charting, scanners and strategies combined with native app capability offers a refreshing new experience. Mobirupee can be easily integrated with any other trading platform. With web services and standard API’s the integration is simple and straight through process. Real time notification alerts based on various scan conditions or strategies straight on to your smart phone. Now you can do away sitting in front of terminal. Detailed portfolio report showing the gain, loss and trading analysis with complete trading details.